Happy New Year everybody! This year my promises to myself are pretty simple. To take care of myself. Sounds pretty easy but could be harder than you think. I decided to start with my skin. I have been looking after my skin pretty well for a good few months now. 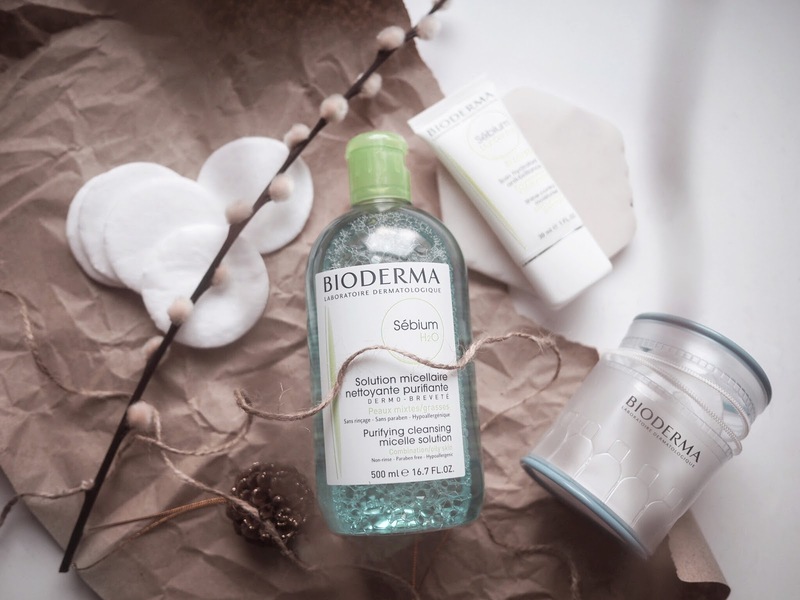 Bioderma is one of the brands I tried and fell in love with about a year ago. That's about the time when I tried the Sensibio H2O for the fist time ever and it just became my everyday makeup remover. I have re-purchased it so many times, at home and abroad if I would see a good deal. I do love a good deal haha! 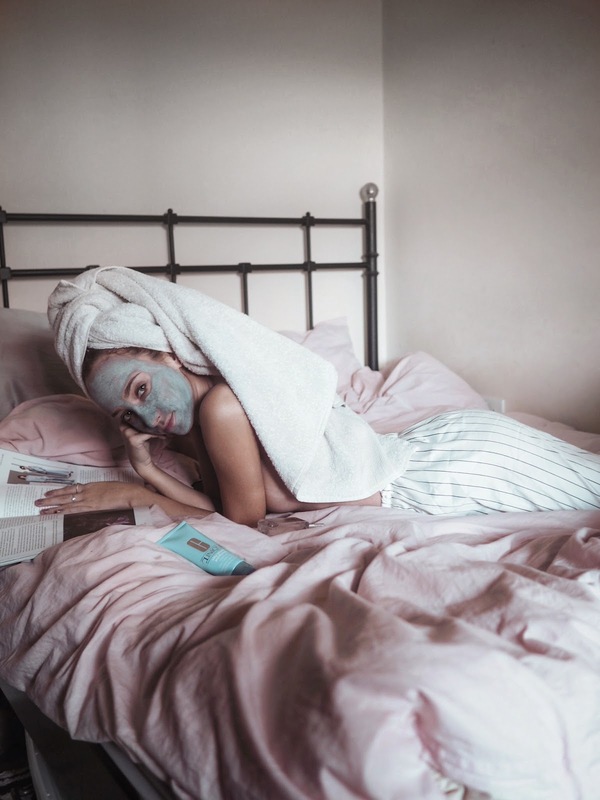 So since December was one of those months where I wore makeup pretty much everyday, even if I was at home I thought it's time to share with you my evening routine with Bioderma. This is something new I got to try. As I said I got really used to using 'the pink bottle' (will be easier this way) I was just not sure if I even need to try this one. But I got told it's perfect for oily skin so I gave it a try and I really really like it. I don't know which one I prefer, they're both amazing, but I do realise that this one probably suits my skin type a little bit more. Formulated from non-irritating and sebo-purifying active ingredients, it sanitises the epidermis just softly and rebalances the sebum excess. My favourite thing about it is that you don't need to rinse after using it. Perfect when you're in a rush, traveling etc. Ok, I know we are talking about skincare here but this shower gel is amazing. I feel like it would be perfect for pregnant women and children as it doesn't have any scent and it literally feels like a dream on your skin. Also will be giving this to my boyfriend who uses one shower gel for his face and body so now he can use this one and I won't get mad at him as it has no bad ingredients. This eye contour gel offers daily, protective, decongesting, soothing and hydrating care for the eye contour area. It has been great for reducing puffiness and tired eyes. I don't know if it's just me but sometimes if I feel tired or sleepy I can put an eye gel on and it makes my eye area feel so refreshed. This can also be used as a makeup base but I am yet to try it for that purpose. This is something that will be travelling with me, especially on morning or evening flights when my eyes and skin get so dry from the airplane. This has also been with me for over a year. I don't use this everyday but more on the days when my skin feels oily. Sometimes if it's already feeling pretty dry (hello winter and central heating!) I opt for other moisturisers but this is great for me in the summer and the warmer months. I do use this as a primer also quite a lot as it keeps my skin fresh and matte and turns shine into radiance. 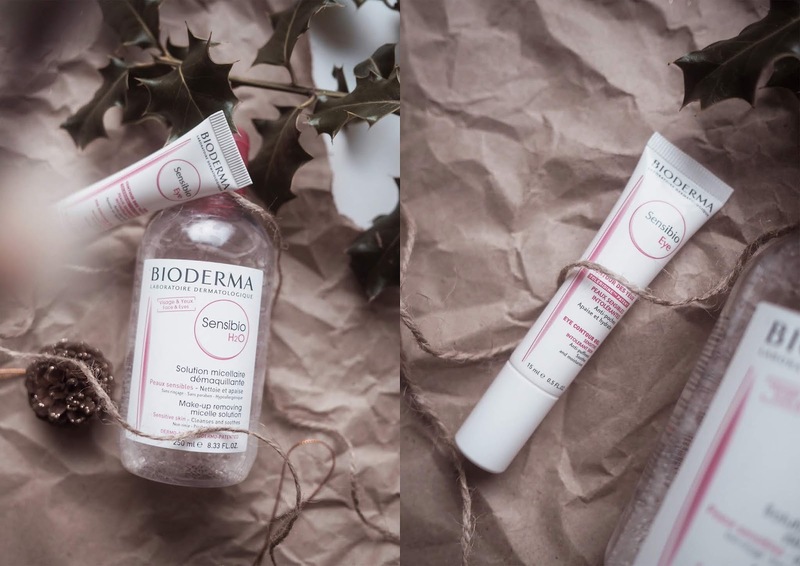 I actually love that Bioderma products don't have over the top packaging and are quite small, perfect for traveling, which is very important to me because I really don't like putting my skincare into travel containers and bottles. Let me know if you've tried any of these products? 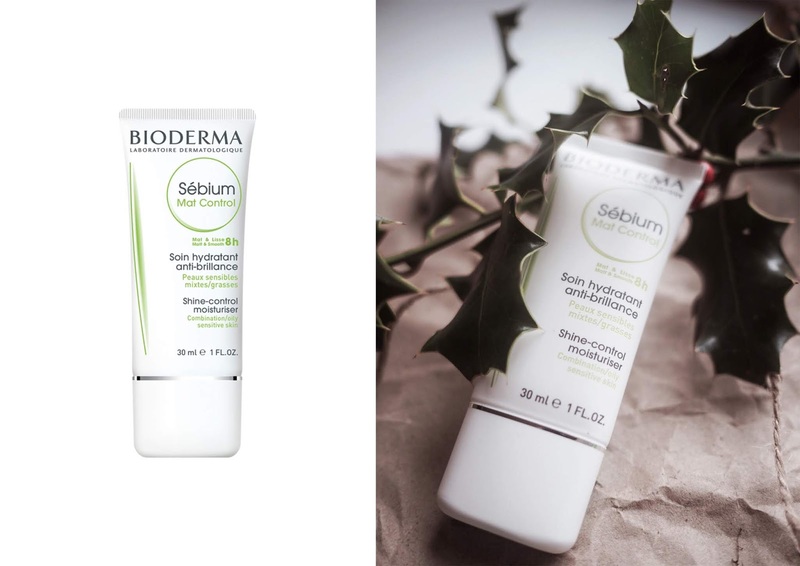 Most people I speak to have tried Bioderma before, so would be nice to find out what products you love and if there are any I really need to try. This post is in collaboration with Bioderma, but all words, thoughts and opinions are my own. Our skin goes through so much in a day, sometimes we don't really think about it while we're living our fast paced lives. From sunshine to polluted commute, stress or a poor diet, our skin can look different everyday depending on just that. So it's super important to remember and give yourself and your well being a little bit of time each day. A healthy and radiant complexion is something that is very important to me so I am really excited to collaborate with Boots on their Dare to Bare Campaign and share with you the products I use to maintain a healthy complexion as well as some of my top tips for a beautiful glow. This post is in collaboration with Boots, but all opinions are my own. For the longest time I was the lazy girl who wouldn't really bother with taking my makeup off properly and I didn't even realise some people have a 5 step skin regime EVERY NIGHT! I am pretty lucky to have healthy and non problematic skin but to be honest I only started taking my skin seriously a couple of years ago. (Which is pretty late, I know!). I now also have a 4 step regime that I do most nights, but sometimes if I am feeling lazy I will just use a cleanser and slap on some cream. But that's the thing, please don't feel lazy when it comes to your skin, we are not getting any younger and the sooner you start taking care of your skin the better! 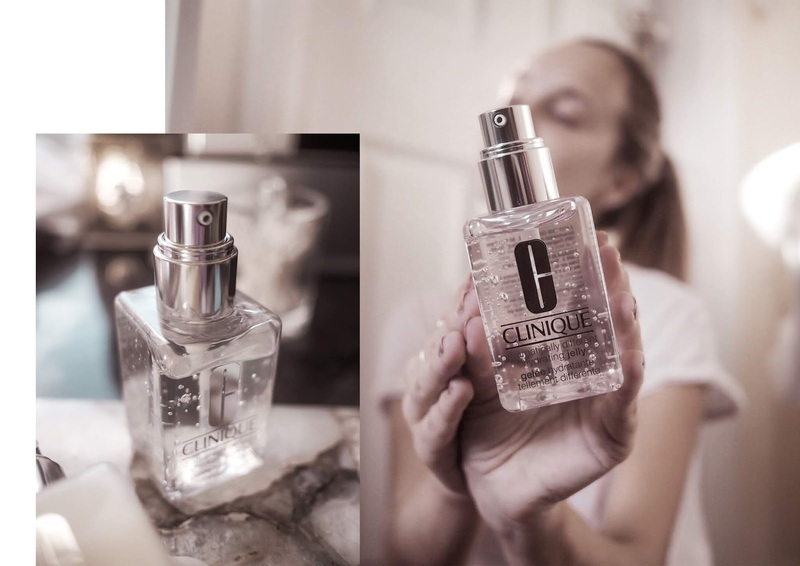 Today I will be sharing with you my top products from Clinique, the best anti pollution skin care in my opinion. I am sure no introduction is needed. This brand is great for many reasons. One of which is that it's allergy tested. I had the worst allergic reaction to some new products I tried from another brand this week and that is so disappointing and annoying (and itchyyyyy). But, I know I can count on Clinique. There are only a few types of masks I like. Sheet, Peel Off and masks that don't require me to sit there with a mask on, for half an hour. 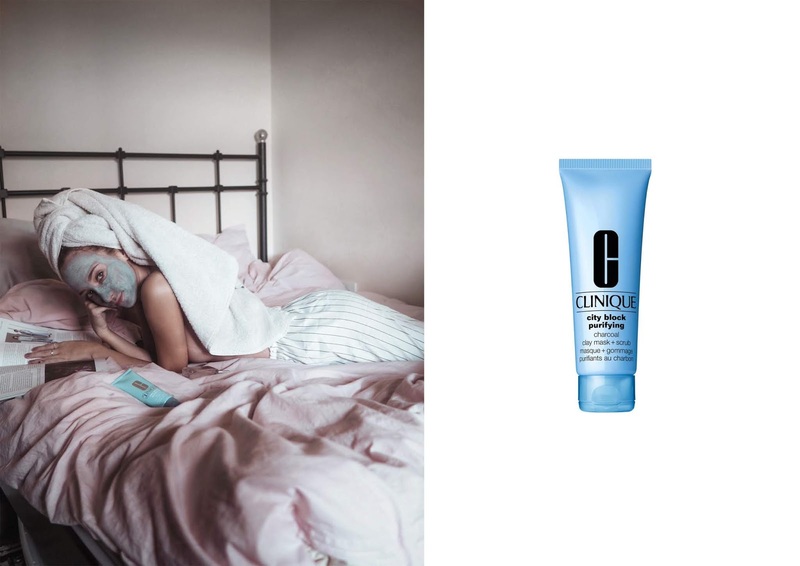 This is why the Clinique City Block Charcoal Mask and Scrub is perfect. You only need to keep it on for 5 minutes, it dries quickly and also acts as an exfoliator scrubbing away those dead skin cells. I cannot stress enough how important water is. I literally have to force myself to drink enough water everyday. If I didn't, I would probably never drink it. I just hardly ever feel thirsty, so it's quite hard for me to remember to pick up that water bottle. 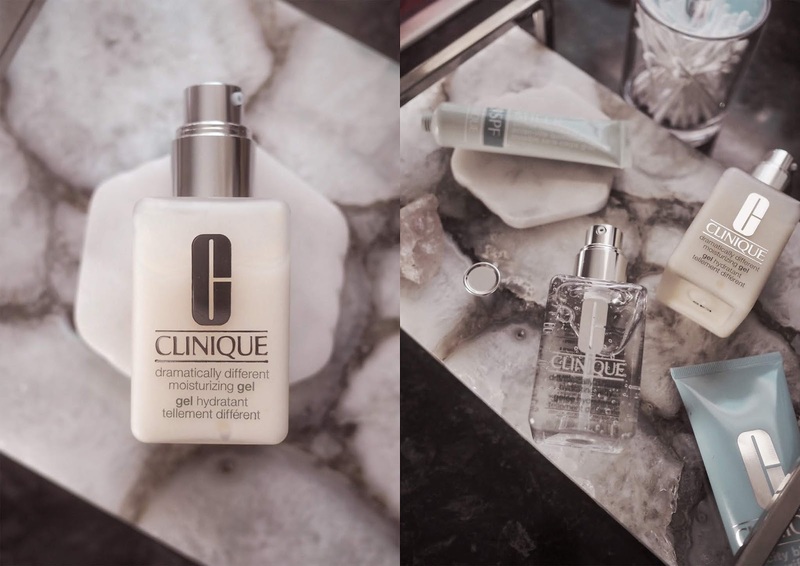 I am so thankful that I discovered the Clinique Dramatically Different Hydrating Jelly. It's not often that I am shocked after trying a new product. When I tried this, I was amazed. It literally just hydrates your skin. So much. It's a 24h hydrator with Clean Shield Technology™ that locks in the good and filters out the bad. It protects my skin from pollution so I actually use this one twice a day. 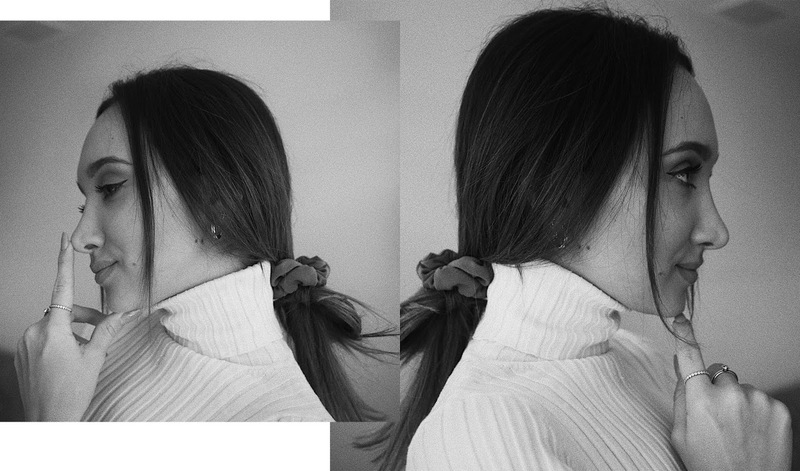 The perfect Anti Pollution Skincare. I then go on to use my moisturiser. The Clinique Dramatically Different Moisturizing Lotion is so lightweight and absorbs into my skin so fast, that I forget sometimes if I put it on already 15 minutes later. 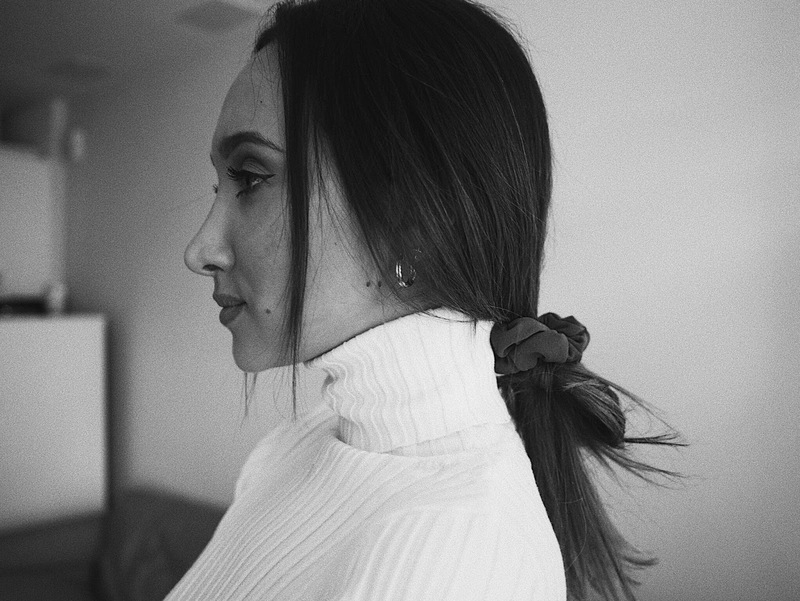 A good moisturiser is definitely worth investing in, especially in the winter because the heating at home can make our skin super dry and dull. I would recommend to use this one together with the Hydrating Jelly for a better effect, but they work just as well used separately. You know, when it comes to SPF, I was always a little confused. When my doctor told me I have to use SPF everyday, even in the winter because the sun's harmful rays causes premature skin ageing, hyper pigmentation and age spots, I thought she's crazy. How was I going to wear that white sun cream on my face everyday?!! I realised later in life that SPF can come in many different forms. (I literally thought there is only sun creams, you know the white ones that smell funny and the sand sticks to it on the beach!). They now have great formulations that offer so much more than just protection against UVA and UVB rays. They work as great primers, add glow and enhance our makeup as well as our skin. 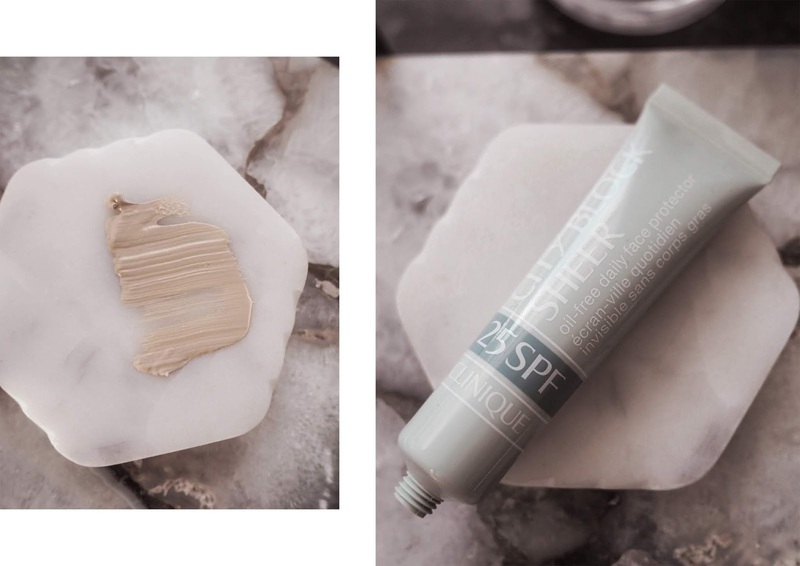 I've been loving the Clinique City Block Sheer SPF25. I use it under my makeup, just like a primer but I am sure you can just use it on it's own when you're not going for a full face of makeup. Ofcourse you have to understand, that great skin doesn't just happen overnight, doesn't matter what kind of products you use. It takes time and you have to have a good skin care regime to see the results. Don't be lazy and take care of your skin, especially now that the winter is coming. I have now lived in London for more than half of my whole life, so I get to call it home, and when I go back to Lithuania, I don't call it home anymore. I haven't for a long time. 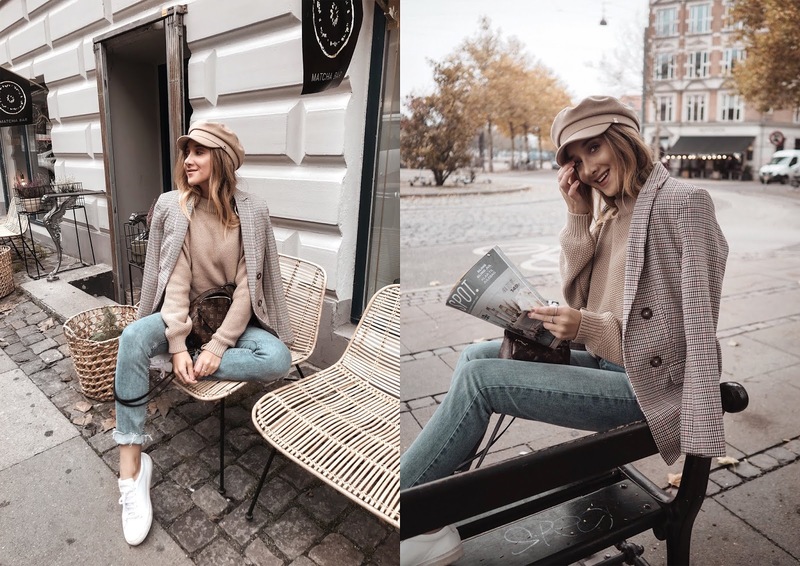 One thing that comes with blogging, being on social media and living in London, is a hundred messages asking about the top places to visit in London every year. That's why I've decided it's finally time to sit down and do this blog post. I really hope this will be helpful to whoever stumbles across this blog post and you have an amazing time in London! p.s I will not talk about touristy spots like Big Ben, because we all know them and you can find those on Google. DISCLAIMER: I know there are probably thousands of even more amazing places, but I obviously cannot visit all, and am only sharing what I personally like. BALLIE BALLERSON - A bar which has 2 adult ball pits to jump in, while having drinks and pizzas with your friends. This is definitely worth a visit if you're looking for something more fun than your traditional bar/pub. Book in advance. SUSHI SAMBA/DUCK & WAFFLE - I put these into the same title because one is under the other. If I'm not mistaken Duck & Waffle is 40th floor and Sushi Samba is one below. Both amazing places. As you guessed one serves sushi and the other, duck and waffle. Or just waffles, or just duck. I love both of those but if I had to choose one it would be breakfast at Duck&Waffle. Make sure you book in advance. It's worth it, the view and the food is great. LETO - One of the places to eat where you will never be disappointed. I've probably tried half of the menu by now, but it's truly delicious. Must have item is the iced coffee. Never seen anything like it before. The coffee is frozen into ice cubes and you pour sweet vanilla milk on top. You have to see for yourself. There are a few locations, my favourite is Knightsbridge and Soho. SKETCH - I've only been to sketch twice, but it's definitely a place you will always remember, and it's super Instagramable. You actually kind of feel like you're on a set of The Grand Budapest Hotel. Make sure you book in advance, and of-course, it has to be the 'pink' room to feel the vibes I'm talking about. AUBAINE SELFRIDGES - I have a love/hate relationship with this place. 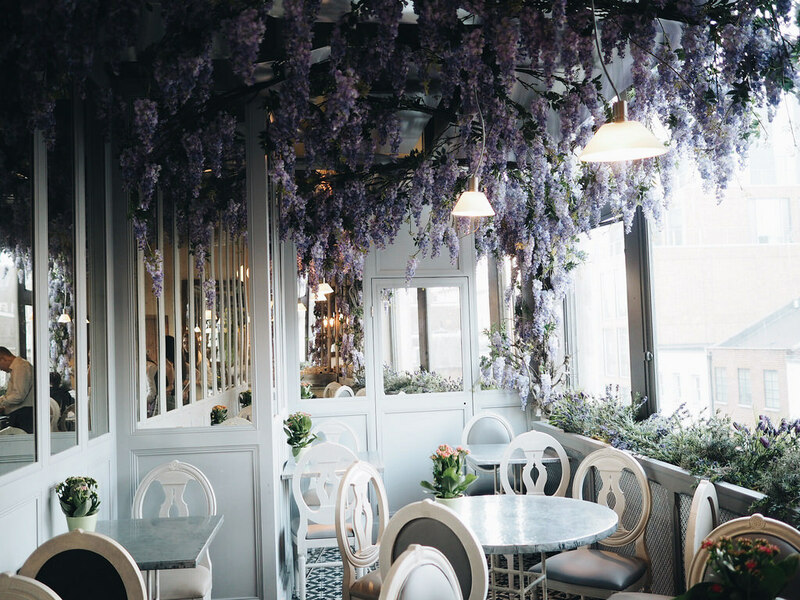 I love it for the decoration which is beautiful purple flowers hanging from the ceiling, but the menu is quite disappointing, especially because other Aubaine locations have way better menus. So you have to be the decision maker here, if you're looking for an Instagramable cafe, this is the one. 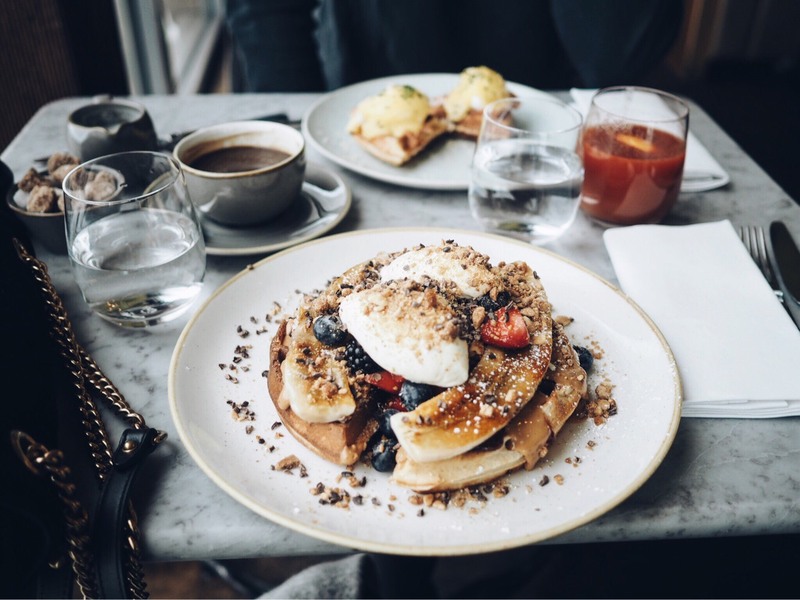 THE BREAKFAST CLUB - Probably the best pancakes in the world. Ok maybe in London. 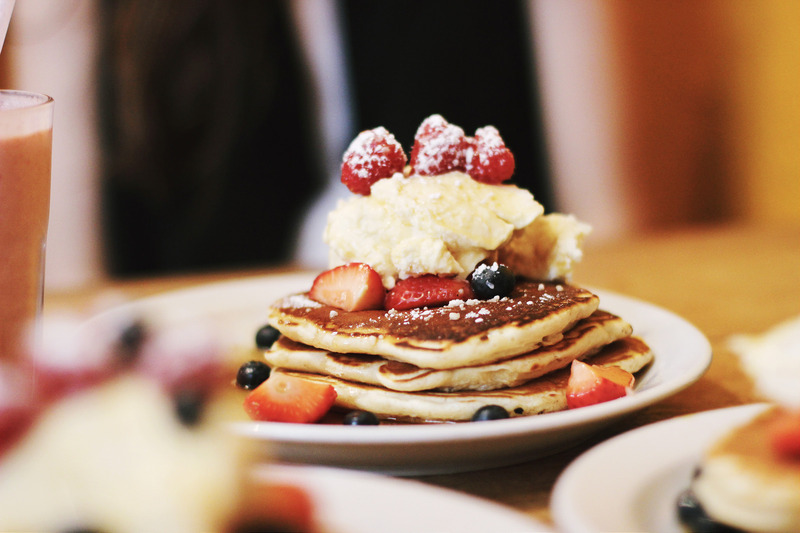 But if you're craving some fluffy delicious pancakes, or eggs even, you have to visit TBC. I would recommend coming as early as possible on a week day (queues get quite crazy in the Soho branch). On a weekend I would say go after 4pm (I know it's not breakfast anymore, but you won't be sorry). JOHN LEWIS ROOFTOP - This one is on the roof of John Lewis in Oxford street. They have quite chilled areas, and also a bar/food area so you can either order and take it to your chair or sit at the table and have some food. The vibe is pretty good but the only downside, there is no view and sometimes on a hot day there is a queue to get in. RADIO ROOFTOP BAR - This one has pretty good views of London, is quite chilled and the times I've been doesn't really get too busy. This is probably one of my favourite rooftops. MADISON - This is a nice one, the location is amazing because the bar is on the roof of a shopping centre right next to St Paul's, so the views you get are beautiful. If I remember right it's quite pricey, but if you're just going for a couple of drinks should be ok. I wasn't going to include this section, but I thought maybe you'd like to know where the best place to shop is, because they all depend on the time of the day and the actual day you go. OXFORD STREET / REGENT STREET - Many people are confused about these two streets, but they actually are right next to each other. You turn to Regent street in the middle of Oxford street (Oxford street station). Oxford street is kind of more high street stores like Primark, Topshop, Urban Outfitters, River Island and so on. 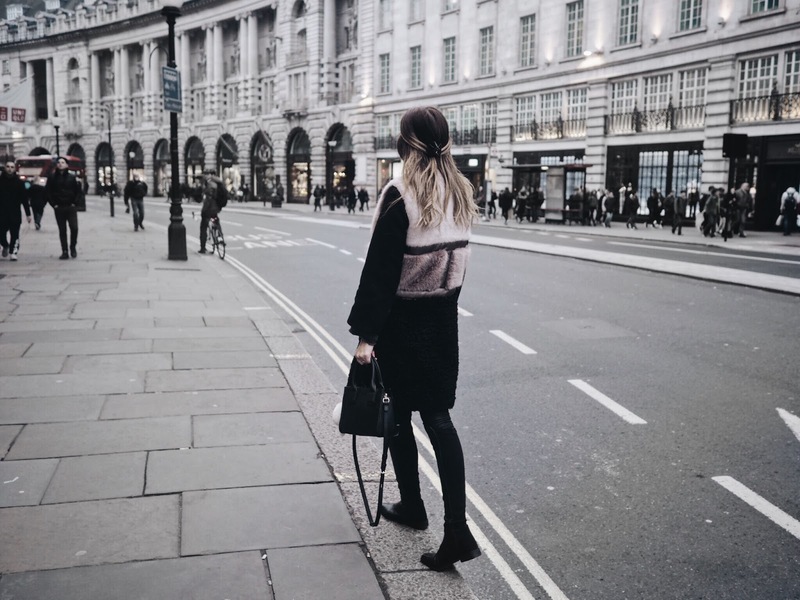 Regent street is luxury high street with stores like All Saints, Kate Spade, Micheal Kors, Karl Lagerfeld and so on. My biggest recommendation would be to go in the morning. Get there at 10am and do your shopping. Because if you go around 4pm, you will hate life. It gets crazy busy to the point where you feel tired of shopping in 10 minutes and want to go to a bar, get drunk and forget this stress. 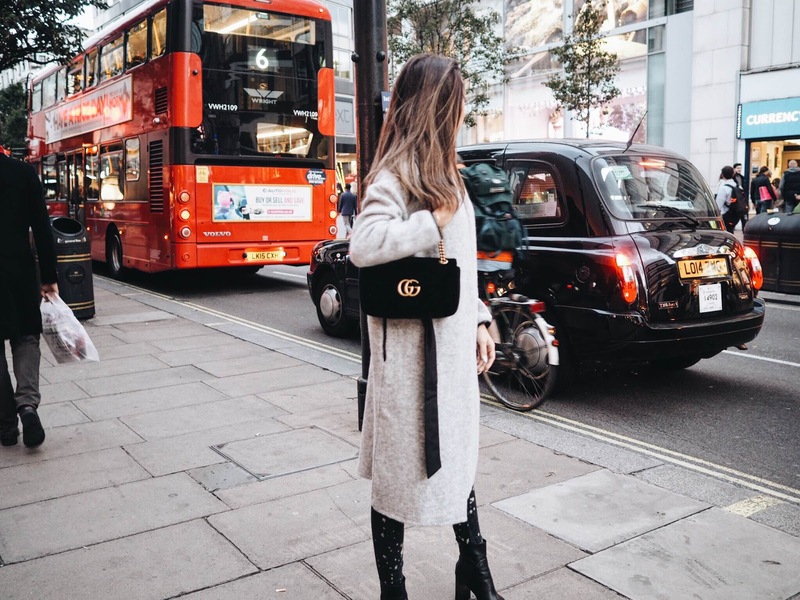 The only good thing is that you can find all the stores you will ever need here, and if you are after designer, go to Bond Street which is also very close! WESTFIELD - This place is great if the weather's not too good and you want to be inside. If you prefer Stratford, go in the morning also, or after 7/8pm on a weekday. Westfield White City seemed to be empty most of the times I've been there, and they have a few designer stores like Gucci and Prada, Stratford does not. BICESTER VILLAGE - If you have enough time I would really recommend to visit Bicester Village. It's about 50mins by train from London Marylebone station (book train tickets in advance). It's one of the best outlets that I love visiting and I actually did a post about it before, so I will link it right here. 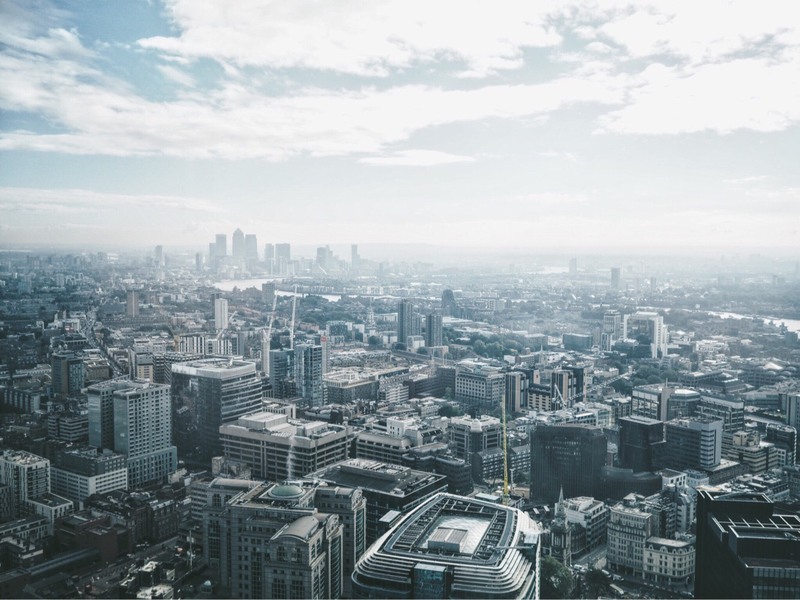 SKYGARDEN - Beautiful views of London from above. It's like a jungle in the sky. Free entry, just make sure you book 2-3 weeks in advance because you cannot get in without the free ticket. NATURAL HISTORY MUSEUM - If you like museums, you are lucky in London. Most of them are free to everyone, so you can never run out of things to visit. The Natural History Museum is quite interesting with lots to see and explore. You could also visit the Science museum which is right next to the History one! This is the perfect place to go before Christmas, because what you will find right in front of the Natural History Museum is a huge ice rink, with lights all around, hot chocolate and mulled wine being sold, you have to see it with your own eyes. You almost feel like you're in Home Alone. V&A MUSEUM - This has to be my favourite. The two museums above and this one are all next to each other, so you can visit them all in one day. With free entry, why not right? This is my favourite because they actually have these rooms with huge statues everywhere and I don't know why but I find that so calming. I could sit there for hours admiring the statues. Also, you can take pictures which is pretty great because the place is super Instagramable with marble staircases and hallways. SOMERSET HOUSE - I don't even know what to call this place, but they sometimes have great exhibitions which are usually free, so make sure you check out 'what's on' before visiting. Around Christmas time there is also a huge ice rink here, with a beautiful Christmas tree and bars around. RICHOMD PARK - Get to Richmond for a beautiful stroll along side the river, visit the beautiful park and another huge park/forest area that has deers. Yes, actual deers running around. If you google the location you will be able to find it, we asked the Uber driver to just drive us there and so he did. Best day ever. HAMPSTEAD - Every time I tell someone about this place, they always think it's really far. Yes, it's not Central London, but trust me, it's the most beautiful place that you will remember for sure. It feels like you're not even in London anymore but actually it's only 2 stops from Central. While you're there, also visit the Hampstead Pergola, you won't regret it. Check the opening times, sometimes it closes early in the Winter. And I think that's it. I could add so much more, but I am sure you would get tired reading this and would hate to pick from 50 food places and 50 bars. I tried to list places that are a MUST. I also made a video 2 years ago on the best places to eat.